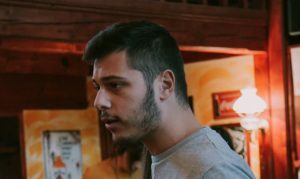 Here you have one of the candidates for the Network Commission: Spyros Papadatos from AEGEE-Ioannina is really enthusiastic to be a Network Commissioner after being a NetCommie for one year already. The Greek member would like to keep personal communication with Board members of several antennae. Read the article about his candidature. The AEGEEan: Can you tell us something about yourself? Spyros: Hello! I am Spyros Papadatos, I’m 22 years-old. I have been an AEGEEan for about three years now and current Network Commissioner from Agora Bergamo till Agora Enschede. What is the event “Skills for YOUth” that you attended? 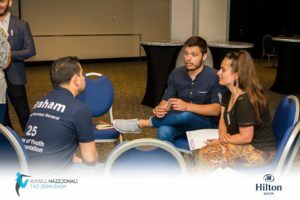 Skills for YOUth was a training course organised by AEGEE-Valletta and AEGEE-Europe in the first days of May in the beautiful Valletta, Malta. It brought together around twenty AEGEEans and its main topic was youth employment and skills development connected with the New Skills Agenda for Europe that was launched last June. Since I have attended one more event about New Skills Agenda for Europe and as a fan of thematic events, I could not miss this training course! What have you learnt being a NetCommie and Netcom speaker and what do you feel you still need to improve? For sure, the past year has taught me a lot. First of all, I have learnt how to work with several locals on different fields/projects at the same time. Being there for them 24/7 was my priority and I hope I supported them as much as possible. Also, I have learnt how to work with other NetCommies and other European Bodies efficiently, by prioritizing the Network. Of course, as in every case, nothing and no one is perfect. As long as we live, we learn. I believe that I have worked with motivation and discipline from day one until today and I hope I can continue working actively and efficiently for one more year in the NetCom. How did your role as coordinator for “Let’s Do It Epirus” contribute to improve the organisation of the locals? 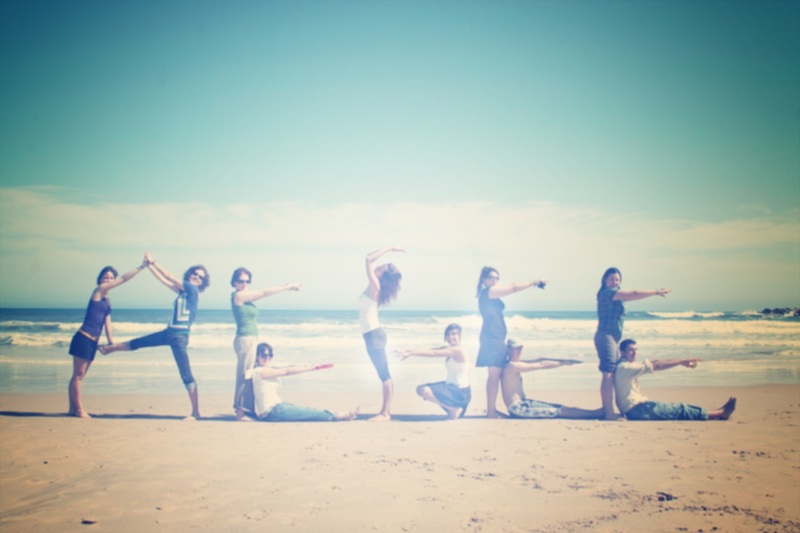 Let’s Do It is an international volunteering movement that promotes active participation and mobilises citizens. I believe it aligns with our values as an organisation and is a local action that every antenna in Europe can organise. Of course, it is just a sample of activities our association can carry out, but it was for example one of the reasons I joined my local in the first place, so it holds a special place in my heart. How would you keep regular personal communication with Board members? For the past year I have been working with nineteen locals (twenty-one, if you add the two recent contacts added to my distribution area). Furthermore, I have met the majority of the boards of those locals (plus several active members, who could become boards in the future) and we have established a personal communication. They know they can message me in any way any time and I am glad they do. Some of them I am lucky enough to consider my friends. Furthermore, I avoid sending only emails that very few people read, but I have a Facebook group with people from my locals where I post everything, in order to reach as many AEGEEans as possible. Also, I try to have Skypes with my locals whenever it is needed or even talk with them on the phone [he laughs, ed.]. What do you think would make you the perfect candidate as a member of the Network Commission? I could say the obvious things: that I have worked already for one year as NetCommie, that I know the job and I don’t need knowledge transfer, that I have the experience and the motivation to continue. But for me, it goes deeper than that. Having worked for the past year, I can honestly say that I love this job and this Commission. I may come from one local, but I have grown fond of 20 more and I can say that I feel part of several antennae at the same time. That’s the magic of NetCom; that after some time you feel the whole Network as part of you. How would you increase the knowledge of the European level? Together with my SubCommies and NetCom in general we have been trying to do so. 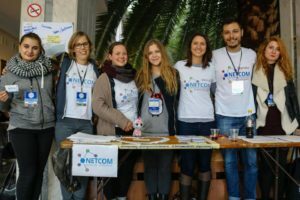 For my locals, in cooperation with other European Bodies, we organised open Hangouts and a lot of people joined, met other AEGEEans active in the European level and increased their knowledge about it. Of course, it is a long-term process that needs time, but it is nice to see people increasing their interest towards the European level and joining it slowly. What is the area of the Network you would like to work with? Of course I would be more than happy continuing with my locals (or a part of them), respecting of course their preferences. But also, I would be fine with working with other locals, preferably the ones that are closer geographically. Question from the Network: The Antenna Criteria can time-wise be a burden on locals. Antenna Criteria Reform is a topic that has been talked about for years, but there’s nothing about that in your programme. Would you like to change something about the current Antenna Criteria system or are you satisfied with the current situation? For the past year in the Network Commission we have been thinking and working on a reform of Antenna Criteria together with our Network Director, Tekla Hajdu. After we collected feedback from the Network and after discussing it at several Spring Network Meetings, we submitted an Antenna Criteria reform proposal for Spring Agora Enschede. Then, depending on the reception and the locals’ comments, if it is needed, I will be personally open on working further on the reform, as I believe we should take careful steps before introducing big changes and listening to the Network’s voice. That is anyway NetCom’s purpose and logo: to serve and protect.